19 Jul It seems 500 is the key level. Last week it was young cattle prices on the rise, this week its supply. 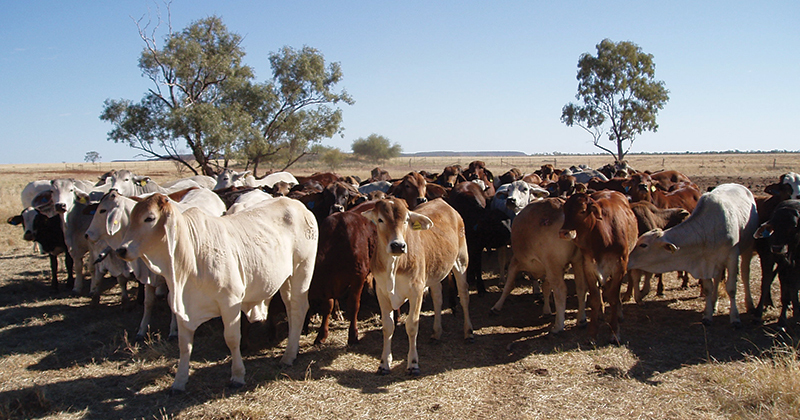 Young cattle yardings jumped higher as growers took the opportunity provided by higher prices to offload more cattle. We think it was the higher prices, or perhaps the fact that there has been no real follow-up rain to the bit received a fortnight ago, but young cattle flooded into Eastern Young Cattle Indicator (EYCI) saleyards this week. This week’s EYCI yarding hitting a 14 month high and is sitting just 170 head shy of a two and a half year peak (Figure 1). Roma contributed 34% of EYCI cattle this week with a big yardings, while Dalby chipped in with 7%. NSW was also strong, Dubbo, Gunnedah and Wagga contributed a further 25%, with those five yards making up 66% of the EYCI this week. Some demand must have shown up as the price of the EYCI didn’t actually fall too far. Compared to last week, the EYCI lost just 3¢ to hold at 509¢/kg cwt on Thursday (Figure 2). Cow prices managed to rally back above the 200¢/kg lwt in Victoria and NSW, gaining 13 and 16¢ respectively, while Queensland also gained 9¢, but sits at 194¢. In the West, the Western Young Cattle Indicator extended its premium over its east coast counterpart. The WYCI was up to 543¢/kg cwt, which sits just shy of the MSA Steer Over the Hooks price. This is a sign that the season is ok in the west, contrasting the east where the EYCI is at a discount to trade steer values. The Bureau of Meteorology map shows the latest awful three-month forecast for much of NSW and Victoria. The chances of receiving better than median rainfall over the next three months in minimal. This is obviously bad news for store cattle markets, and it is a real worry for the supply of finished cattle.